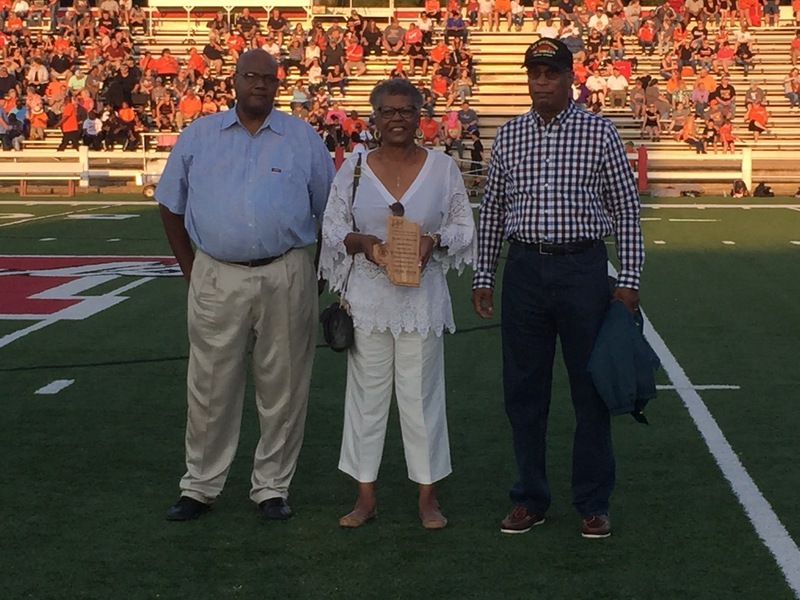 HOPE – A near-capacity hometown crowd at Hammons Stadium honored the lasting contributions of five local educators inducted as the inaugural class of the Hope Public Schools Educator Hall of Fame here Friday night. 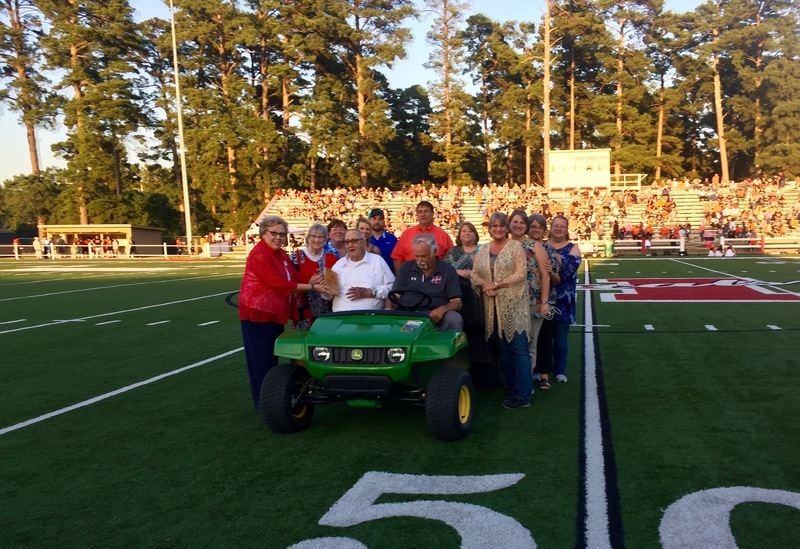 Recognized on the playing field at Hope High School were former Hope High School vocational agriculture teacher Troy W. Buck and his wife, Wilma, of Alpine, Ar., with their six daughters, Tralena Kay Buck, of Alpine; Kalena Gay Hughes, of Houston, Texas; Chawnerhea “Chawna” Buck, of Springdale; Saunjea Sandy Jester, of Curtis; Jueaneeka “Neeka” Richardson, of Alpine; and Wauleia “Skeeter” Huckabee, of Spring Hill. 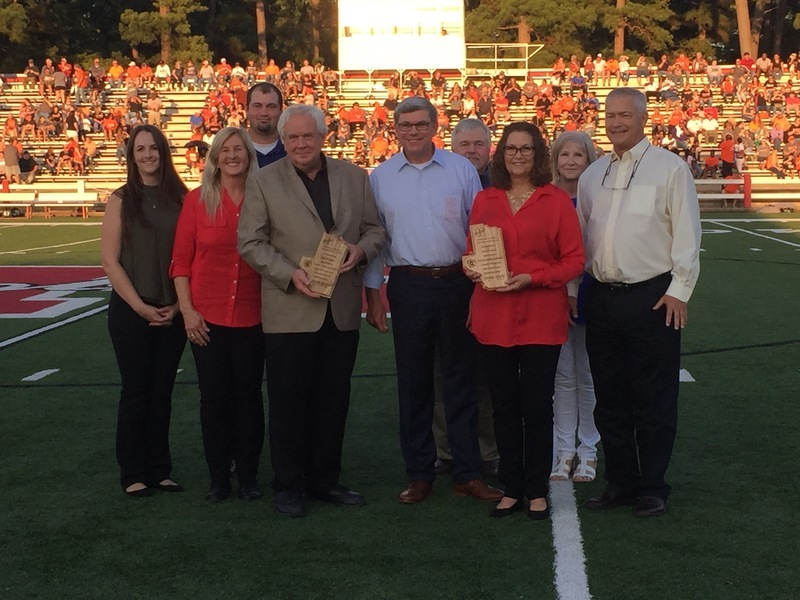 Also recognized were the children and family of the late Earl Downs, founder of the educational counseling office at Hope High School, including Juneanne and Ron Price, of Hope; Ben and Lillie Downs, of Bryan, Texas; Mary Downs, of College Station, Texas; Thomas and Judy Pearson, of Magnolia; Mitch and Sandie Downs, of Hope; Hunter and Kristin Price, of Hope; and Mitch and Dr. Allyson Hanson, of Hope. Mattie Rutherford Harding and husband, Richard, of Henderson, Nev., represented the late Will V. Rutherford, principal at Yerger High School from 1949-1969. Ellen Turner and husband, Tom McClure, of Springdale, and Joseph Purvis (the late Susan Turner Purvis) and daughter, Elizabeth, of Little Rock, represented the family of long-time HHS journalism teacher Mary Nell Turner. Dr. Valerie Yerger, of Richmond, Calif., represented the family of Henry C. Yerger, founder of Black education in Hope at the Shover Street School, the forerunner of the former Yerger High School. 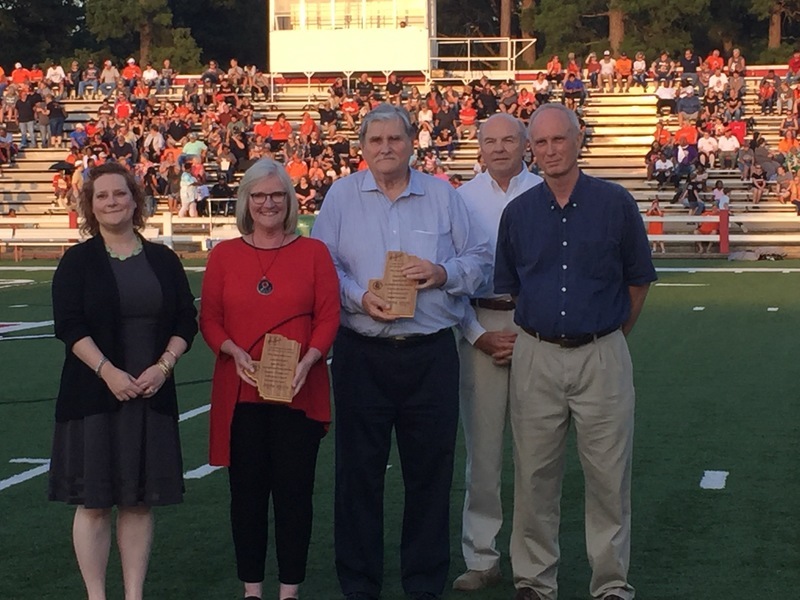 Presenters for the induction ceremony included Hope School Board member Kathryn Dickinson, former Congressman Mike Ross, of Little Rock, former Hope Public Schools superintendent Kenneth Muldrew, former Hope mayor Dennis Ramsey, and Yerger Alumni Association President Mary White. More than a hundred local residents, friends and relatives of the honorees attended an afternoon reception at Hempstead Hall on the University of Arkansas-Hope campus hosted by the Hope Public Schools as part of its celebration and participation in the Hempstead County Bicentennial Year. Hart said the selections were by nominations taken from both public education and the community. “I don’t think you could have selected five more deserving people,” he said. UAHT Chancellor Chris Thomason acknowledged the importance of the moment from his personal perspective in his welcoming remarks. He recalled the influence of Turner, Rutherford and Yerger, as well, and the connection of UAHT to the Hope Public Schools. 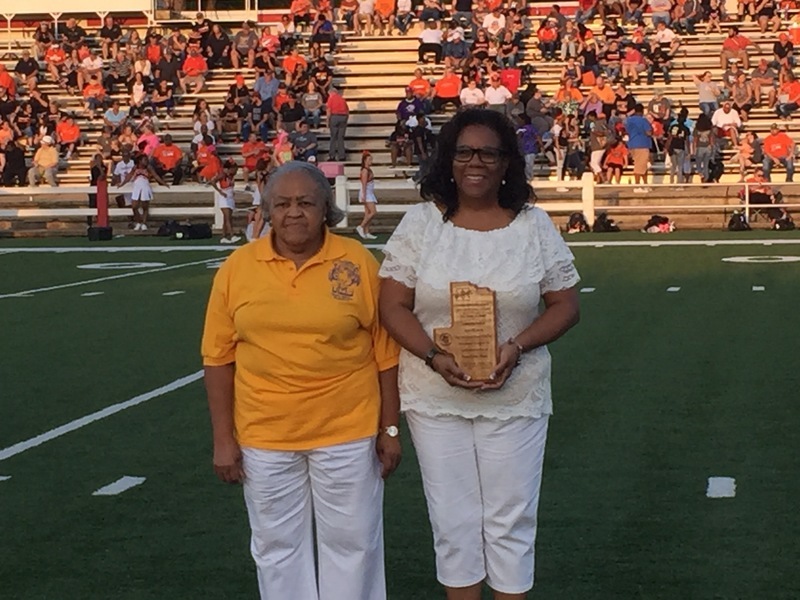 “I grew up hearing so much about all of these that are being honored here, and we are thankful to be part of their celebration of more than just the Hope Public Schools,” Thomason said. “I hope as you look around this wonderful facility, and look at the partnerships this institution has with the Hope Public Schools and you see the impact that you have and your loved ones’ impact that is being honored goes much further than their career and the students they touched. “They inspired them and they inspired you to what I think is a lifetime of service that exceeds what other communities this size has ever produced,” he said. Hempstead County Judge Haskell Morse said the Hope Public Schools Educator Hall of Fame represents the historical progress of education in Hempstead County.